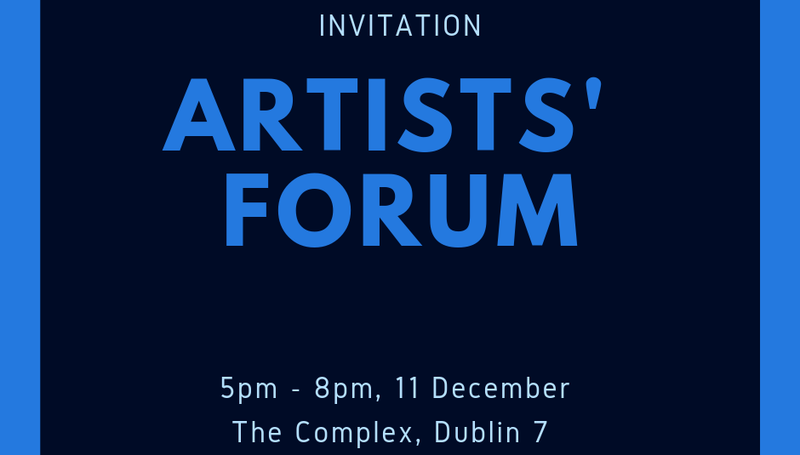 You’re invited to our Artists’ Forum on Tuesday evening, 11 December. 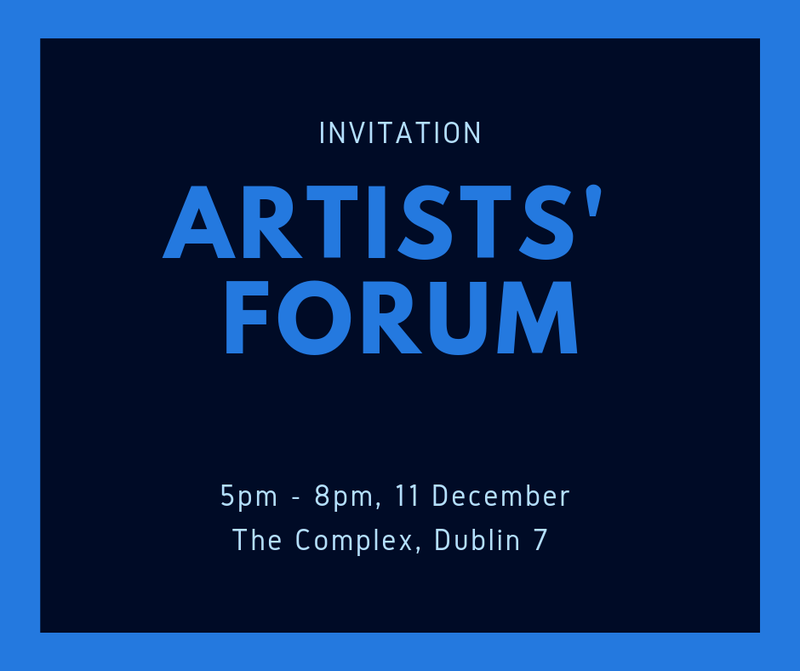 We’ve invited elected representatives and policy makers to hear artists talk directly about uncertainty in their working lives and discuss the wider social implications of working in the arts. Join us and encourage your friends and colleagues to come along too. Please register below so that we can plan this event. Tuesday 11 December 2018, The Complex, Dublin 7. We’re hearing from artists, freelancers and independents as well as production companies that insecurity defines working in the arts. Funding, work and pay are more uncertain than ever. According to the Central Statistics Office (CSO) comparing Q2 2013 with the same quarter this year, average weekly earnings in the arts and entertainment sector reduced by 3.5% in those five years, notably the only sector to have suffered any decrease at all. For too many, work in the arts is poorly paid or unpaid, no longer representing a reliable route out of poverty. In addition, unions have become less relevant to the growing numbers of independent and freelance artists. Many artists have limited options, making too few or no PRSI and voluntary pension contributions, putting benefits, maternity, parental and sick leave as well as pensions and housing beyond their reach. From this precarious employment position, artists cannot afford to be sick, find it difficult to plan careers, and near impossible to secure or afford a mortgage. Life choices such as a place to live, work and family formation are fraught with uncertainty, all of which takes a heavy toll. With our Payscales Survey, we’re collecting the evidence to advocate for positive change. We’re asking everyone to take part to get an accurate picture of pay and conditions in our sector. We’ll present the findings and analysis at our first Members’ Meeting of 2019 on 23 January (registration will open early in the New Year) and use this information to advocate for positive change.